The harmonious life of a woman living in nature is disrupted by the arrival of a hunter. A beautiful story told in an original style. 3 students of La Cambre Animation Workshop in Brussels collaborated on this piece which took them to Annecy in 2011. The film’s visual style is the primary draw. 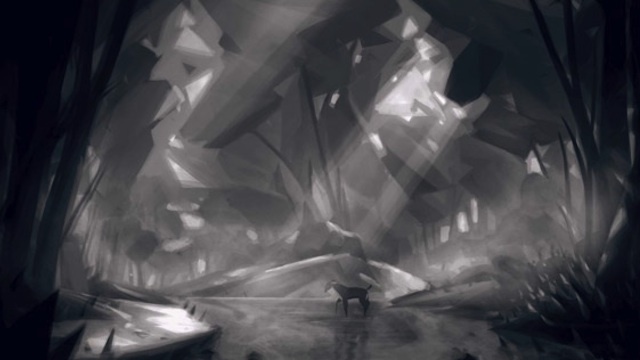 Impressionistic yet rigidly polygonal, the grayscale imagery is pretty stunning. The story is no slouch either, harkening back to mythical stories of tragic love when different worlds collide. It’s been online a while, receiving a Staff Pick even before I got to Vimeo, but it’s new to me! And great films are timeless, so enjoy!